Welcome to Lifeguard Training Headquarters! We have everything you need to make your life easier as you begin your career as a certified Lifeguard. State specific training requirements, a step-by-step hiring process, potential employers and interviews to help you get hired are just some of the helpful things you’ll find here. 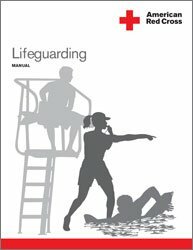 You need to get a lifeguard training certificate from a credible lifeguard training school to become a lifeguard. There is nothing like becoming a lifeguard during the summer, many students work during summers to make a little income. A lifeguard’s job will not only fetch you a little cash, but it will also make you a more responsible person, you’ll know what it is like to serve other people, you’ll meet new people, you’ll know what a close knitted team feels like and you might save a life or two. It is the dream of many teenagers to become a lifeguard, well all you need to do is attend training at a lifeguard training center and then you can easily find yourself a job. There are many establishments offering lifeguard training in the U.S., make sure you register with a recognized establishment certified by the state to commence lifeguard training programs in that state. © 2019 LIFEGUARD TRAINING HEADQUARTERS - Your Center for Life Guard Training.